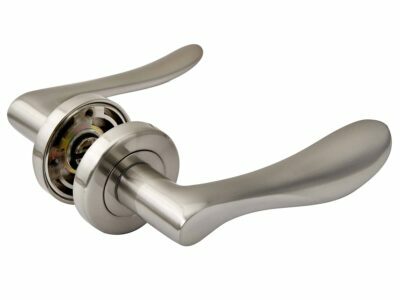 Manufactured from 304-grade stainless steel, these stainless steel levers on die-cast rose are suitable for residential or commercial use. 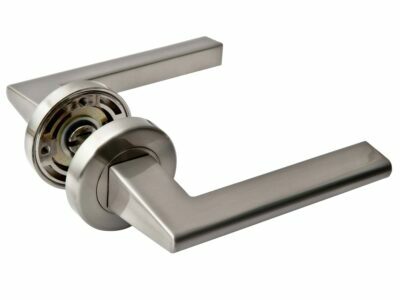 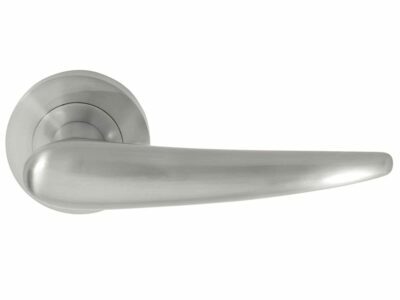 This lever design is also available on a square rose and on a 63mm round rose for use with doors that have large 48-54mm holes. 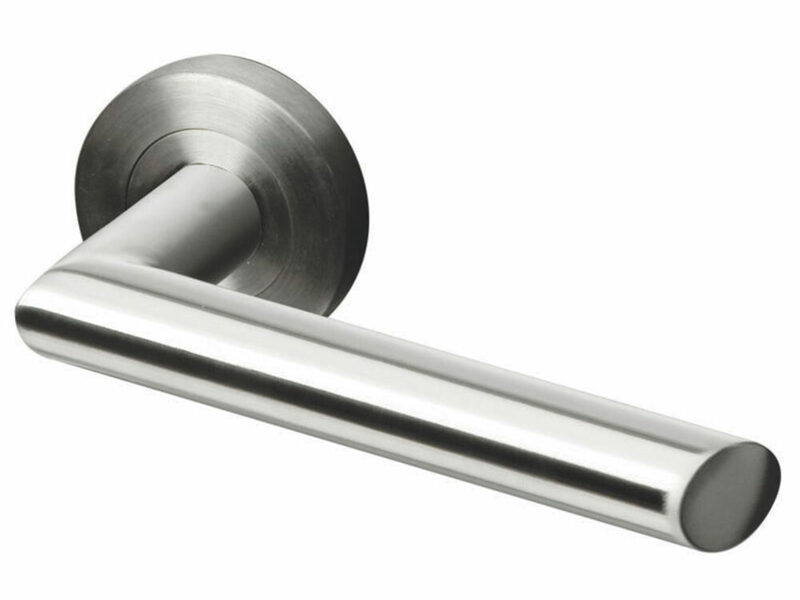 Kit includes handle set with spindle and fixing screws.